Zara started her training in May 2006 after starting classes with her first son in 2005. Trained through the STA (Swimming Teachers Association), Birthlight and the Shaw Method (artofswimming.com) means there is a wide view on techniques & methods that can be adapted to suit the individual & group on a bespoke basis. 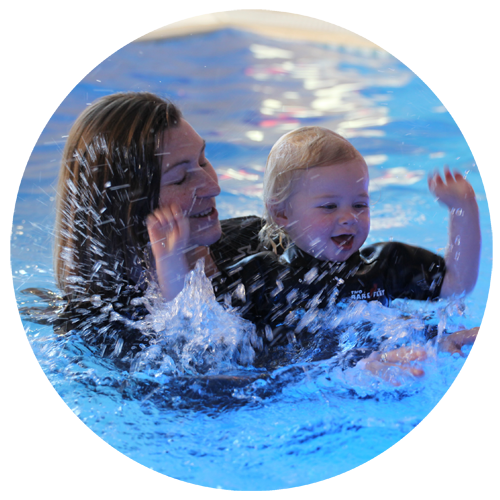 Zara was the first teacher to qualify in the new 'STA Level 3 Diploma in Infant Aquatics' in 2017 - the highest recognised & accredited qualification available in the UK. As a 'STA Baby & Pre-School Tutor' Zara trains & mentors others to become swim teachers. Zara is also a Rhythmic Movement Therapist working with children & adults who have retained reflexes - something that came about through teaching swimming & witnessing the impact that mind-body connection challenges can have in & out of the water. The reflex work is combined with water based therapy to help identify, guide & aid young babies to resolve held stories occurring from pre-natal & birth challenges.